Outdoor Educators "Learning through experience." 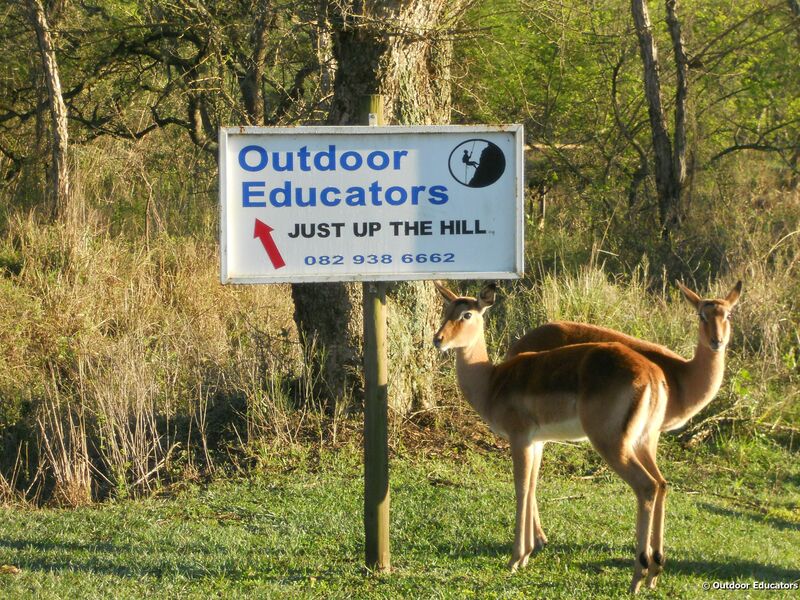 Outdoor Educators is operating at Cumberland Nature Reserve in the KZN Midlands area, 16 km east of Pietermaritzburg. To find us you can click here. 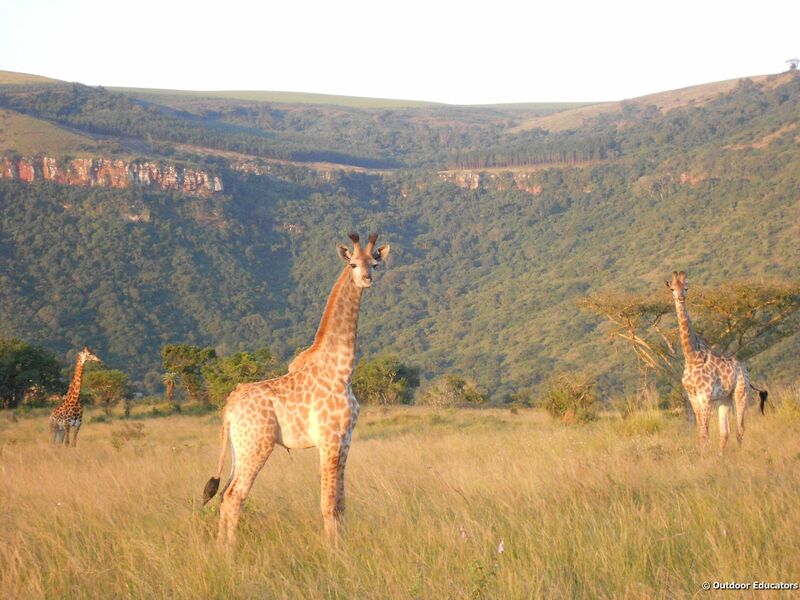 This 303 ha Nature Reserve is an environmental treasure trove as it is home to an abundance of wildlife. 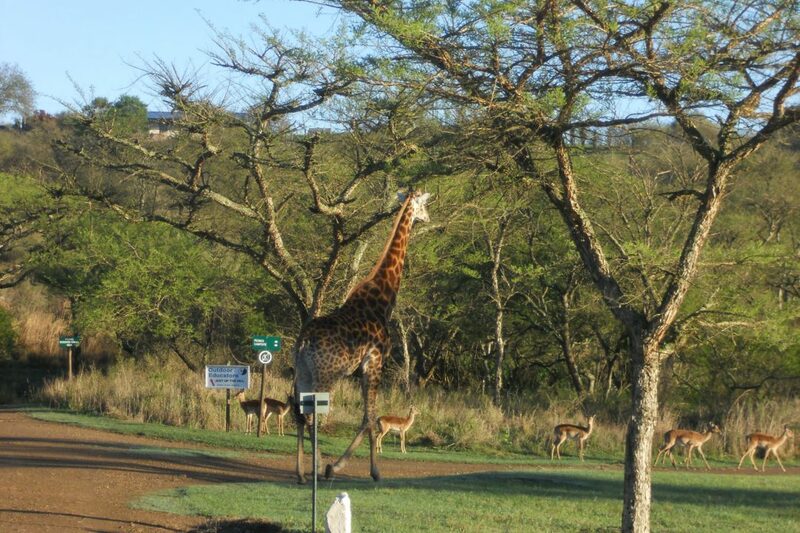 The reserve borders on the Umgeni river while the Rietspruit river runs through the property, cutting through African thornveld and forming two waterfalls over the rocky outcrops before continuing its path to the Umgeni river. 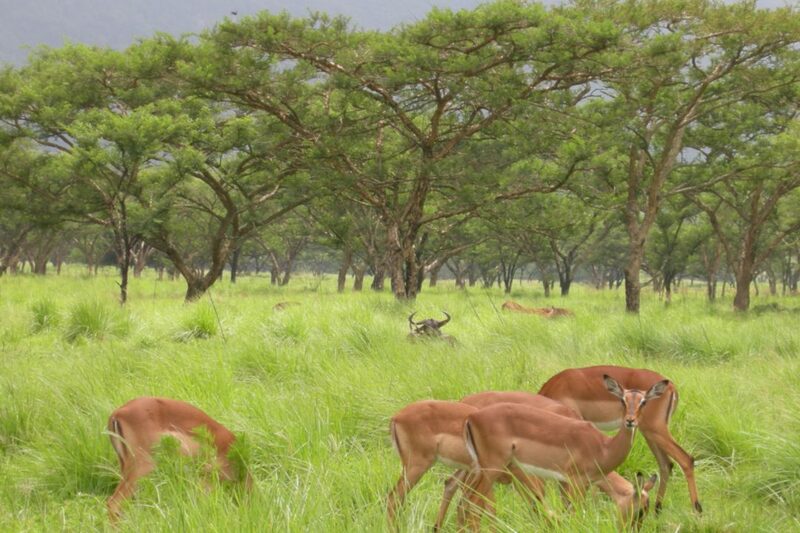 With a variety of grassland, indigenous forest and plenty of wildlife and birdlife. It is indeed a magnificent area to visit. More than 250 bird and more than 50 butterfly species recorded, with regular sightings of Kudu, Nyala, Reed buck, Bush buck, Zebra, Bles buck, Giraffe, Impala and other wild life. 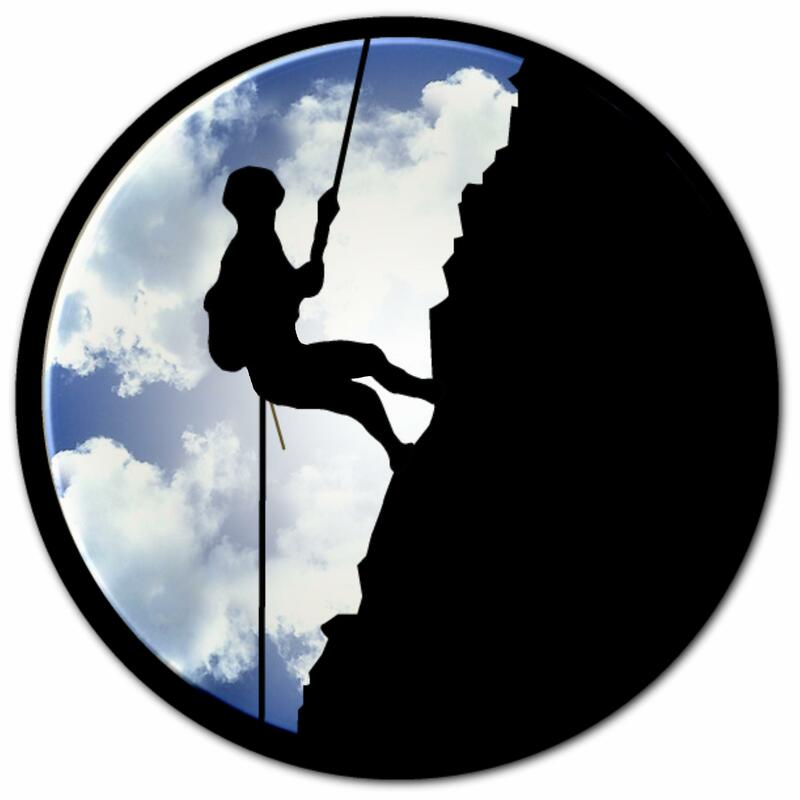 Over – night accommodation in dormitories are basic (it is an Outdoor Centre designed more for school groups). Leaders of groups can be accommodated in separate furnished rooms a few meters from the dorms and have their own private kitchen, lounge and ablution facilities. 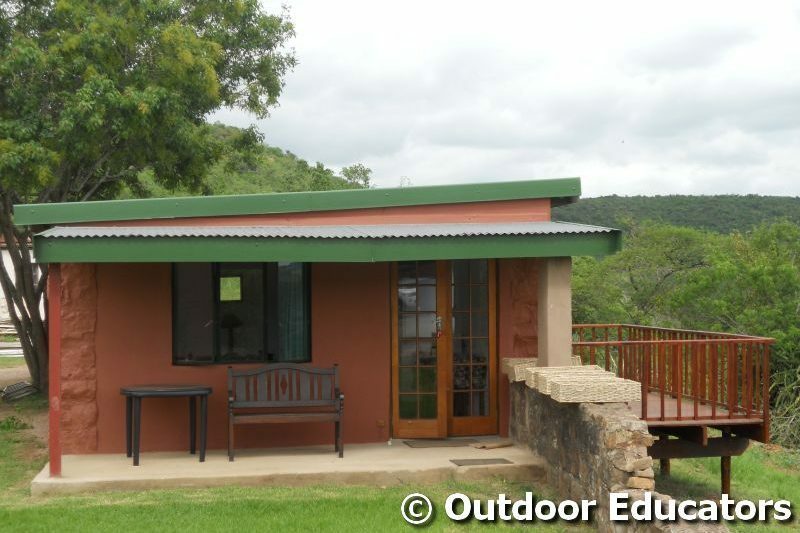 There is also the Zebra cottage with its own private deck with stunning views over the Umgeni river. 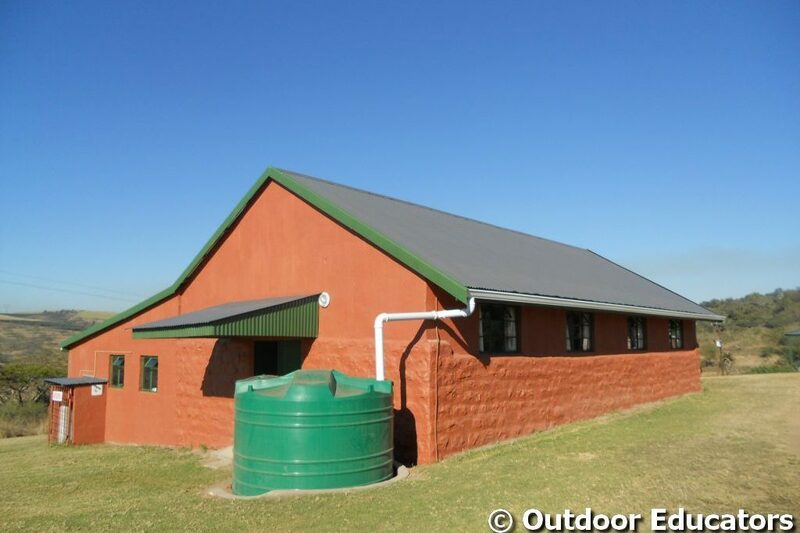 Other facilities include a swimming pool, big camp fire area, braai facilities, an area for volleyball and big open space for other games during leisure time. 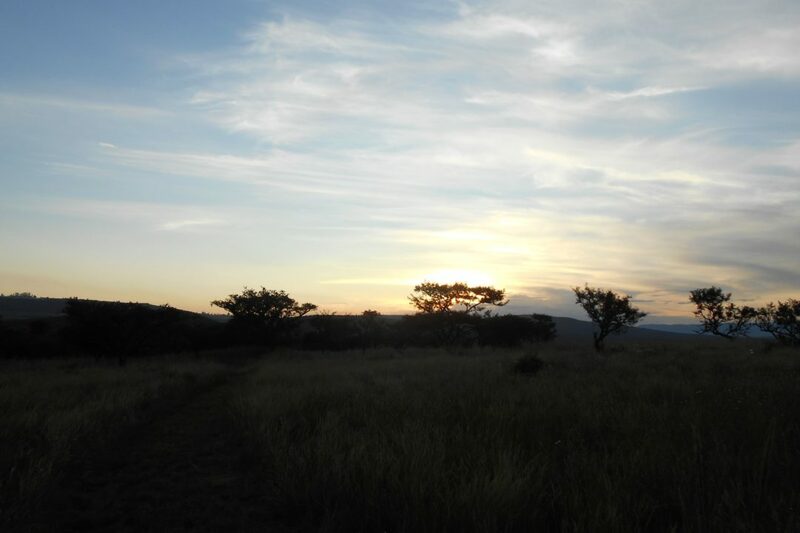 The bush camp is ideal for smaller groups of up to 35 people who would like to enjoy basic camping with a true African feeling. 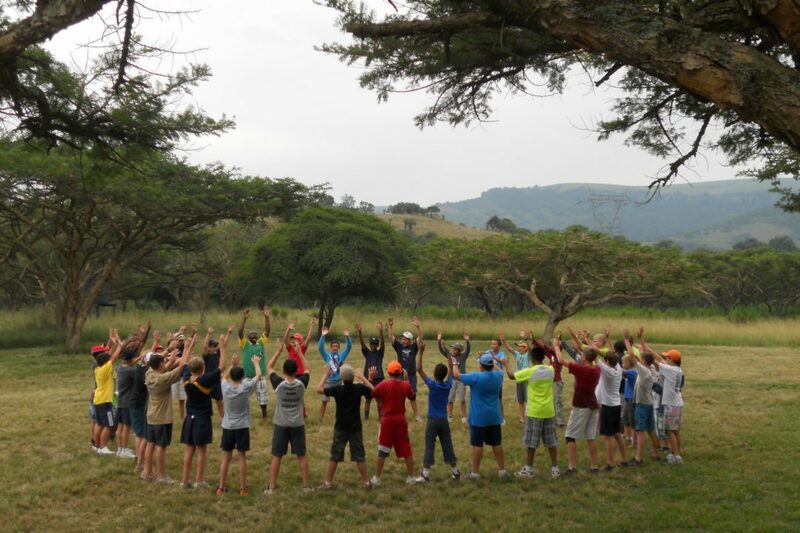 It can also be combined with the accommodation at the main camp for bigger groups. 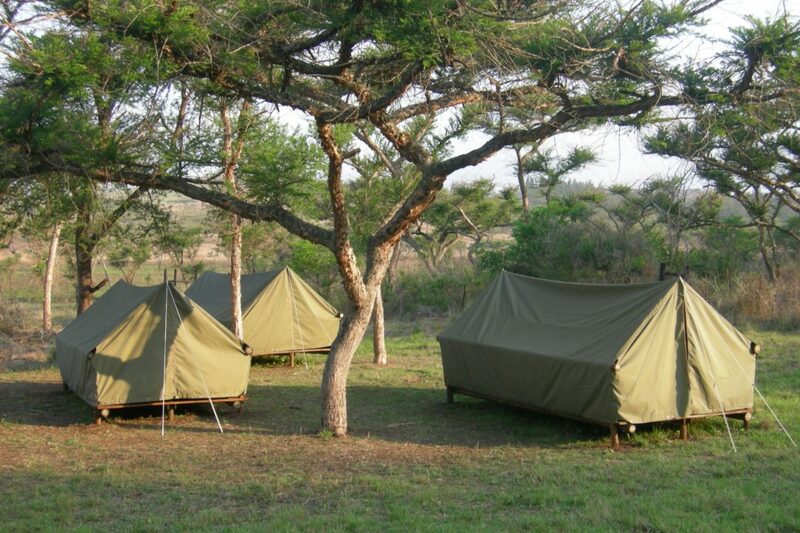 Accommodation at the bush – camp include six tailor – made tents on wooden platforms. There are also two dome tents (also on wooden platforms) for leaders, a lapa with solar lighting and other basic facilities. We can include our tasty country – style meals to make sure that your visit will certainly be remembered! 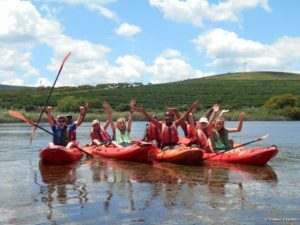 Although over-night facilities are basic our Team Building facilities are great and are set in a beautiful environment. The venue is also ideal for one – day programs for business staff who wants to get out in nature. 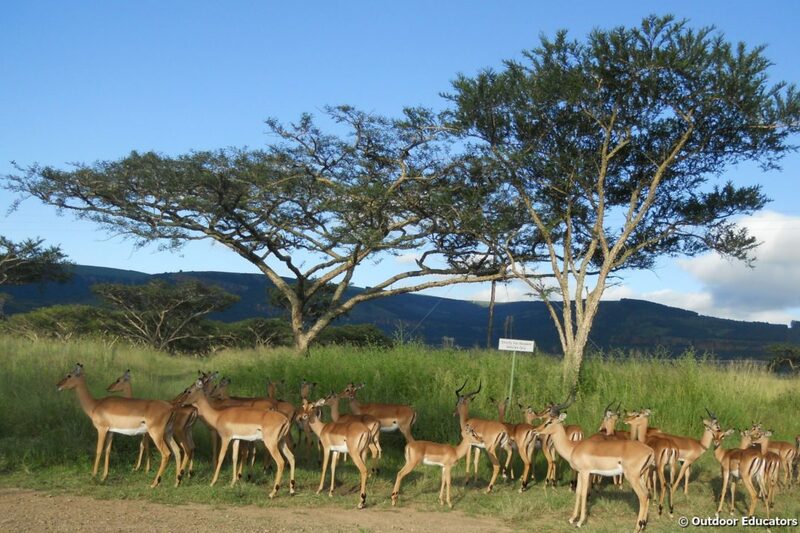 It can be combined with a lunch/ braai at the beautiful Impala picnic area or dining room at the main camp. We can also host meetings for small groups in our dining room. Please make use of the sharing icons to the left and give us a thumbs up on Facebook here! 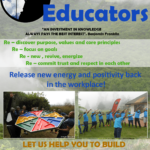 Release new energy and positivity back in the workplace!